This morning, Princess Madeleine attended a Folk Music Mas at Hedvig Eleonora Church. This Mass featured the Järvsö Church Choir. 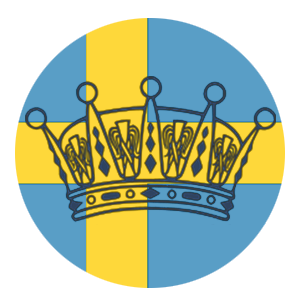 Järvsö is in Madeleine's Duchy so it is nice that she attended to support her own Duchy. She wore a dress from the London Based Brand, Somerset by Alice Temperley. (Thanks Jess) This is a brand which is most associated with the Duchess of Cambridge, but others have worn her clothing as well. Her shoes are a pair that I remember most notably from the opening of Parliament in both 2008 and 2011, however they have never been identified. Her clutch is also an older piece and that has not been identified as well. Perhaps we can find out their designers today. She paired the dress with a belt which appears to be a leather with embellished crocodile skin- perhaps it is this one from Saint Laurent but I am unsure because I have yet to see a photo of the buckle. She wore her heart shaped bangle from Krista Kretzschmar once again and wore simple diamond earrings, allowing her dress to be the statement piece of the ensemble.